Assuring safety of school kids is the priority for every school & GPS tracking devices can help schools in achieving that, with the right GPS device a school can have all the info they require like, driver’s behavior, when the wrong route is taken, rash driving, bus location & vehicle performance, and can keep parents updated about any delays, serving wide range of needs. Parent wants their child to be safe whether, at home, school & especially on the school bus, every parent wants to know that all possible precautions have been taken to ensure their child's safety. A GPS device enhances the safety of school bus as it provides all the info to parents, minute-to-minute information is what parents need these days when they dispatch their very heart in the school bus. Also, with reliable arrival time, parents don’t need to be worried when there is a delay. There is no debate on this that GPS tracking devices help in reducing the cost by providing multiple types of information about the vehicles. Bus tracking can help schools in cutting the unnecessary fuel & maintenance cost; this device can help in improving route efficiency, reduce idle time & prevent any misuse of the school bus by the bus driver. It also avails the option to monitor maintenance needs & vehicle performance, resulting in reduced downtime & maintenance costs. This one feature will be loved by parents as every parent is fed up with waiting for the school bus at stop point for hours, with reliable info of arrival & departure of the bus they can schedule their day accordingly. The anxiety of parents can be eliminated with the help of this device & parents can have peace of mind. Every school must employ the GPS tracking device, not only to for the safety of kids but also for their own benefits. 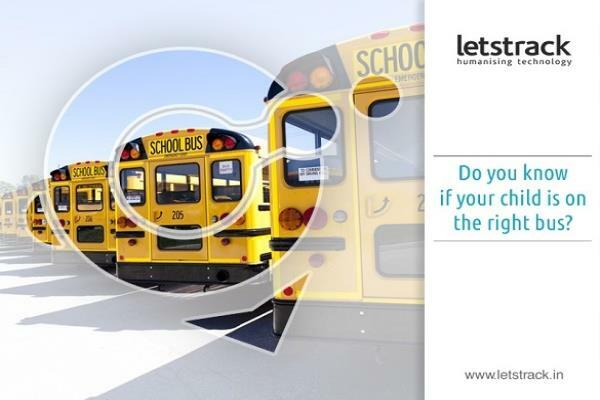 Contact Letstrack today to get yourself a free demo of our products or to discuss a personalized system for your school bus. Do you feel insecure when it comes to your child’s safety?! 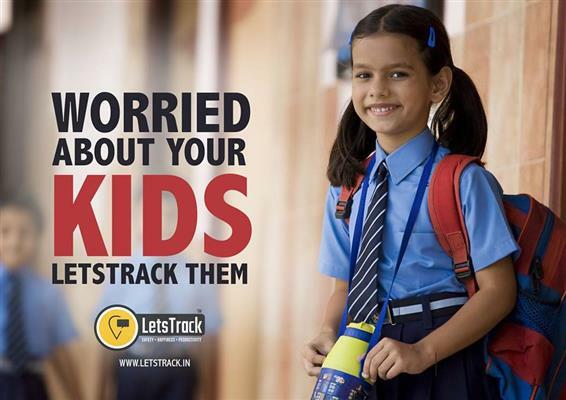 For parents, safety of child is the top most responsibility, hence, we make it simpler for you with Letstrack’s GPS tracking device for children to ensure that they are safe so that you feel at ease even when they are not in front of your eyes. It is lightweight so that it can be kept discreetly in your child’s bag without your child knowing about it. The SOS feature gives them the power to call for help during the time of emergency and you will be alerted when they need your help. You can store history up to 24 hours that you can view on a single screen, and you can review it again for security purpose. Zone alerts allows you to track your child when he/she enters or exits a designated area. You can store data even when the GPS goes offline, and once it gets online, the date gets stored automatically. If it’s raining heavily and your child get stuck in school or somewhere, let us tell you that the device is waterproof and in situations like these it will still let you track your child. With Letstrack, it is safe to say that your child’s safety is covered. Nothing possibly can harm your child as the tracking device works globally. 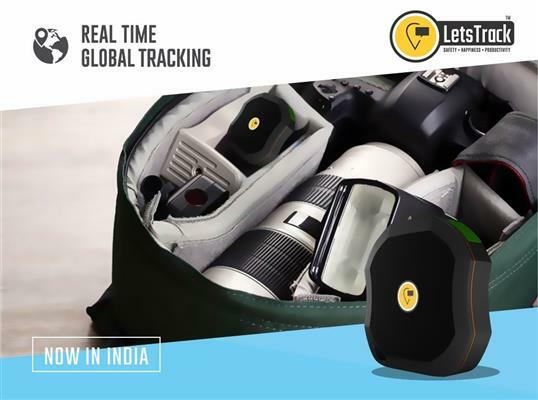 The price of Letstrack GPS tracking device India is less than what you’ll spend on one time shopping spree, instead you will have a device that will work solely for your child’s safety. It is an investment that won’t go wrong. Thought of leaving them alone scares you? Not knowing what could possibly happen?! Letstrack Personal I Tracking Device, this GPS tracker for kids have been created for the safety purpose of your kid. The device enables real time location of your child; track them whenever you are not present with them. The device can record history of up to 24 hours, and can be stored for future security purpose as well. You will get notified whenever you child enters or exits a designated area. It automatically stores data even when the device is offline making it even safer that there is nothing to worry about incase the device isn’t activated. It is lightweight which makes it easier for a parent to keep it into their child’s bag without letting them know. Moreover, if you are worried about your daughter travelling by herself, alone, this GPS tracker device has a SOS feature which can be used in an emergency situation, that will notify that she is in danger. This device is globally accessible, meaning you can track your child from all over India. Talking about the price of the product, it is minimal. Coping up with modern age problems can be a task, Letstrack can keep a track on them. Buy Tracking Device to Ensure Your Safety! It is common that you worry about your loved ones and want them safe all the time. Situation like that can be difficult to cope up with but you still figure out a way to keep them safe. Letstrack is a device which prioritizes itself for safety purposes and making it easy for you to track them without your countless efforts. Letstrack offers devices varying from personal use to vehicle and covers various sub issues as well. Kids these days can be careless with trusting others and that is an issue to be worried about. Letstrack has devices like kids wristband, which will allow you to track your child's location on your device and never again you will worry about them gone for hours. Similarly, teenagers, these days can be reckless and not care about things, peers influence can be a part to worry about. Letstrack Personal GPS Auto tracking device can come handy as this has SOS feature for your loved ones to use in emergency situation. The price of this device is to be looked upon as this costs less than what you spend on a smartphone these days. The features on the device, comparing to the price is unbeatable. It is waterproof, lightweight and stores history up to 24 hours. It’s an investment that will always work in your favour as your child’s safety cannot lack attention. Keeping all the above-mentioned information in mind, it is best to opt for a tracking device as it has features like SOS button, 24-hour history, extended battery backup, real time tracking, speed alerts, zone alerts, and recover offline GPS data to track your loved ones and valuables within the shortest possible time. Letstrack’s various tracking devices ensure that you live a happy and tension-free life. The world around us is not a safe place to live in. Letstrack helps in making it safer, happier, productive. Make some kind of identification mark on your clubs, like etching your initials on them. This is a very effective means of keeping thieves at bay. Once they notice that your clubs are engraved with your initials, they will realize that reselling them may be an issue. Moreover, you will have concrete proof of their ownership if the police manage to even catch them. Have your golf bag by your side at all times and do not commit the mistake of leaving them unattended. This also means that you should not give your golf bag for safe-keeping to a bus storage, concierge, or cloak room. It’s best to leave them in your room when you are going out. Don’t have your car screaming “I’m a golfer!” all over. Avoid bumper stickers or other signs that may give the space for stealing, from someone who takes a keen interest towards golfing. If you cannot resist the urge, then have an online personal tracking system in place. Letstrack offers GPS tracking solutions that will can help you locate your belongings in case of any theft. It may not always be possible for you to prevent a thief from snatching your belongings so setup a system that will enable speedy recovery. A personal tracking system such as the Letstrack Personal Tracking device can be hidden inside the golf bag and used to pinpoint the location of your golf clubs. Once found, you can leave the rest of the action to the police! Be smart, be wise, and do not let the thieves steal your precious possession of expensive golf clubs so easily.